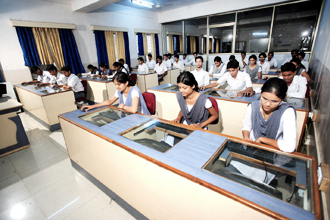 The Department of Computer Science and Engineering started in year 2000 with intake of 60. The department has grown-up considerably and has become a role-model to set the bench mark. Along with UG course it also runs PG courses in 3 disciplines and is a research centre for Ph.D. in Computer Science and Engineering. The Department of Computer Science and Engineering is committed to its mission of achieving excellence through all round development of its students by imparting high quality, research-oriented Post Graduate and Under Graduate education to produce competent technocrats. The department achieved the status of a Research Centre and through it the department encourages high quality research work in the field of Computer Science and Engineering. It is a matter of great pride that two of ours students, Mohit Dharwa and Nikita Singhal, received the Chancellor’s Scholarship. A highly qualified team of faculty members is the backbone of the Department. Apart from academic activities they are also instrumental in providing and organizing hands-on Training Program, Workshops, Seminars, Conferences. The department offers excellent computing facility through latest computer system, advance servers, multimedia kits, leading software, 24×7 internet facility etc. The student computer ratio is one is to one. To make our students globally-competitive, distinguished professional from industries, eminent researchers, expert speakers and guest professors are periodically invited to share their knowledge and expertise with us. Students are always motivated to join various technical and non technical societies and forum. The department is in the process of opening the Student Chapter and forming the special interest groups of students. Our students have proved their caliber by getting placed in companies such as TCS, Infosys, Hexaware, Accenture, Mphasis-EDS, Avaya, Convergys, Syntel, Persistent and Wipro etc. 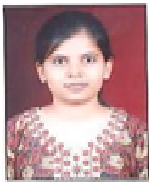 Our university exam’s results are also exceptionally good. 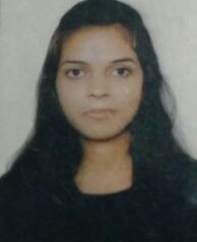 Moreover, it is a matter of great pride that the overall theory toppers of the Institution mostly belong to Department of Computer Science and Engineering. The Department is striving hard to answer the real need for professional and technical expertise in the field of Computer Science and Engineering. To evolve as a centre of academic excellence in computer science and engineering by preparing technocrats possessing good domain knowledge, professional skill sets and high social values. 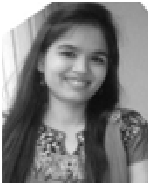 To impart knowledge of fundamental principles and their applications through quality teaching, collaborative professional activities and ethical conduct, thus developing ability to provide solutions to problems in computer science and engineering. PEO 1: Graduate will become an established professional in the field of Computer Science & Engineering and related fields with sound ethical values. PEO 2: Graduates will demonstrate all necessary engineering and scientific competence to become an entrepreneur in the field of computer science and engineering and allied field considering social and environmental issues. PEO 3: Graduates will posses with solid foundation in the field of Computer Science and Engineering to be applied in their higher studies and research. PSO 1: Graduates will be able to apply the knowledge of computing system principles in building system software components in web engineering, mobile & cloud computing. PSO 2: Graduates will be able to apply the theoretical foundation of computer science in modeling and developing solutions to the real world problems in soft computing domain. PSO 3: Graduates will be able to design and develop projects using modern tools including open source software platform in field of web technology, mobile computing and database design. Providing our students solid foundation of science and engineering concepts for developing engineering aptitude. Making our students learn cutting edge technologies and preparing our students to be readily absorbable in industry and for higher studies. Department also encourages and motivates students to explore their potential in the domain of their own interest by organizing different technical/creative events like Conferences, Seminars, Hands-on Workshops, Code Competitions, Model Making and Gaming Activities. Transforming students into successful professionals, who follow ethical practices, are always keen to learn new things and ready to face future challenges. To achieve these objectives department ensures the overall development of the students, may it be academic, scientific, technical, technological or personal. 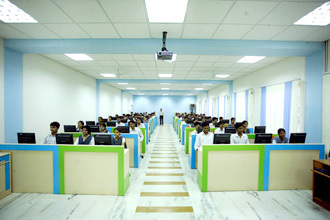 The Department of Computer Science and Engineering is well-equipped with some of the most defined and technically modern laboratories to provide a superior level of practical education to its students. 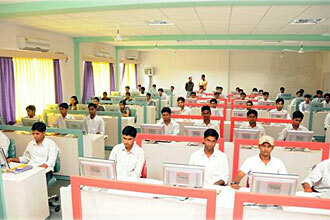 The laboratories are specifically designed with excellent facilities to meet the requirements of A.I.C.T.E. and University. Advanced equipments and hardware/softwares are added to the laboratories each year thus keeping them updated. Students Working in the DBMS laboratory for creating database applications. Laboratory is equiped with Latest configuration 60 HP core 2 Duo systems with Oracle 11i and SQL Server 2005. Neural Network LabStudents Working in the Neural Network laboratory for designing programs.Laboratory is equiped with Latest configuration 60 HP core 2 Duo systems with Matlab 7.0 . Data Structure LabStudents Working in the Data Structure laboratory for implementing applications of data structures. Laboratory is equiped with Latest configuration 60 HP core 2 Duo systems with C and C++ language. Students Working in the open source laboratory. Laboratory is equiped with Latest configuration 60 HP core 2 Duo systems with Linux operating system and linux based C programming . • The department has planned to organize a Technical Event every year in which we will have paper presentation and various other technical activities. • The department organize extra lectures for weak students. • The department will organize social activities as a part of social service to the nation.